Many of you know that I was eagerly anticipating this programme ever since I heard about it. 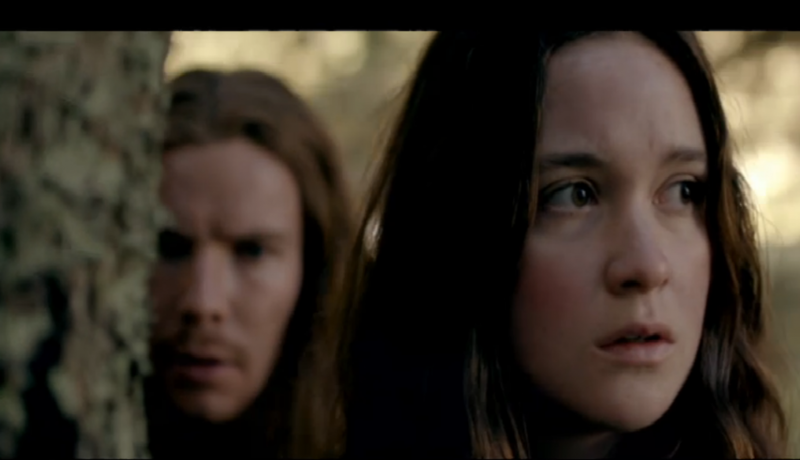 I am always so pleased when filmmakers decide to set a story in the 17th-century. The more programmes and films that are made about this time period will make it as popular as the Tudors are. I thought The Devil’s Whore was beautifully done, powerful, moving, even though a bit left-wing (I believe in a via media). All photos below from Channel 4. As soon as New Worlds began last night, I noticed it had a very strong bias against the Stuarts; so I knew it was going to be a rough ride for me. Why? Well, this programme made Charles II out to be ruthless, cruel, “tyrannical” and generally, a “baddie.” I dread to think about how many people probably turned off their TVs last night thinking that the Merry Monarch was a horrible despot. 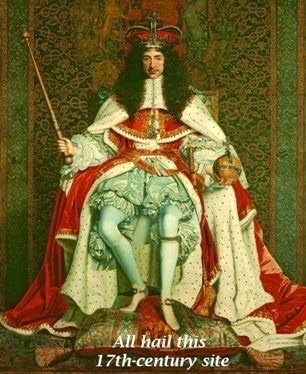 Yes, Charles II had an enormous sexual appetite, but from all accounts he was pretty laid back. Yes, he did go after the Regicides, but that was at the beginning of his reign, not in the 1680s (by then he was “old” and not really doing so much). The Regicides had murdered his father – anyone would want justice for the murder of their beloved family member, but not ONCE was this fact mentioned. Generally, there was a hell of lot of talk about tyrannical Stuarts and a lot about the glories of those who were the Regicides. Therefore, very one-sided. I live-tweeted my thoughts with other 17th-century historians, and we were all of the same opinion about this. 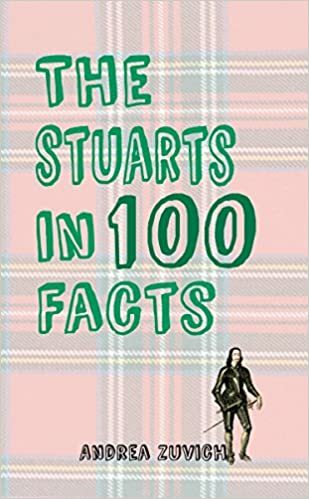 One even said, “I’m fed up with the anti-Stuart vibe” and I completely agreed with her. There is no need for this – especially as MOST people still preferred having a king to a republic! Did writers not understand that the Republic was a failed experiment? By the end of it (the republic was itself tyrannical and oppressive) people were crying out for the return of monarchy. The storyline in America wasn’t very strong, and I didn’t care about any of the characters there. 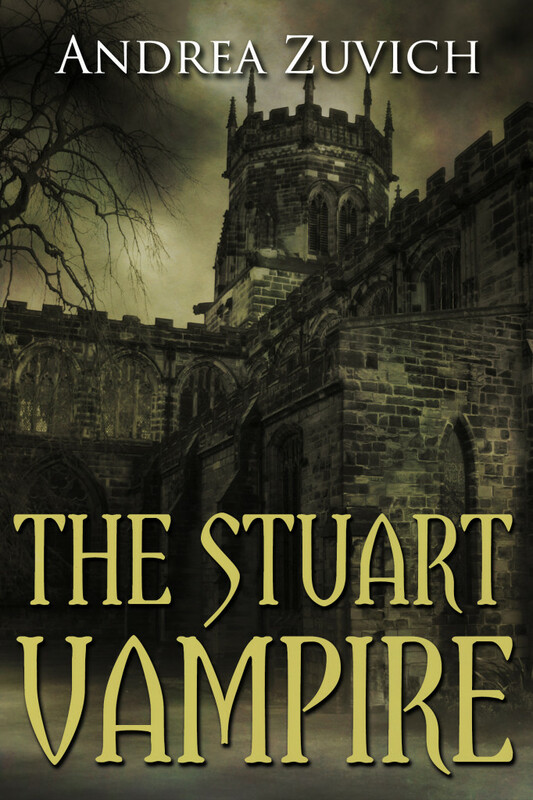 I wasn’t moved by them at all and I kept wishing the story would go back to the more interesting plot in England. I’m hoping this will change in later episodes. With regard to the Colonel Blood and the theft of the Crown Jewels, again, the programme made it look like the government was really nasty, and make one of the other characters spy on a main character in order to save Colonel Blood’s life. Oh dear. Colonel Blood was famously pardoned by Charles II, who seemed to have found it amusing, and Blood was also given money (and land, too, if I remember correctly?) by Charles II. 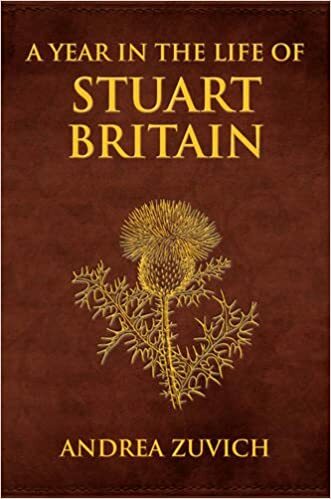 Where’s the cruel tyrannical Stuart there? Also, having young women running about in front of men wearing only their shifts (underwear, really) would not have been acceptable! 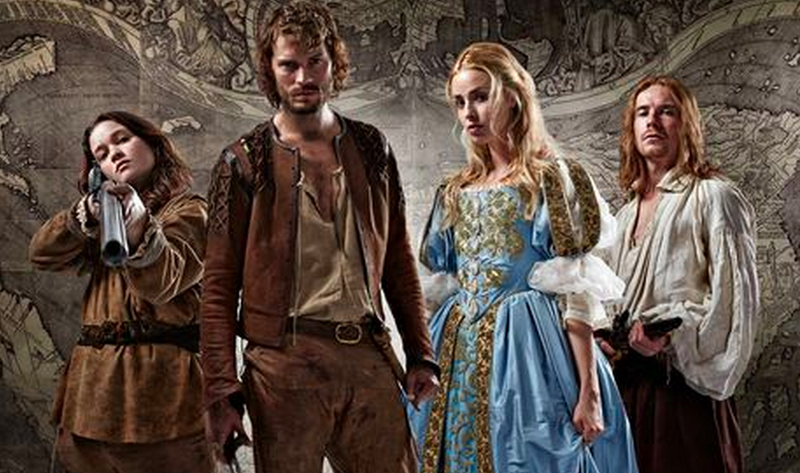 I like Jamie Dornan and his previous work in The Fall and Marie Antoinette, but I didn’t like his character in this. To be honest, most people shouldn’t admire the Levellers because they were an extremist group. Extremes are generally to be avoided because people inevitably get hurt. Jeremy Northam plays Charles II, and well, he’s awesome in everything he’s been in, though the Charles of New Worlds doesn’t seem remotely like the real Charles. Angelica Fanshawe’s daughter, Beth, is played by Freya Mavor (who I remember from The White Queen, in which she played Elizabeth of York) and was the only one of the lead characters I cared about, which surprised me. 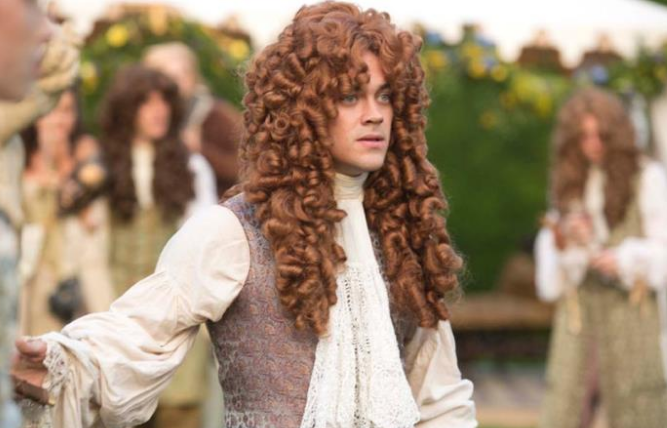 The one thing that I did like (besides the beautiful locations and the time-setting, of course) was Tom Payne as the Duke of Monmouth. He was perfect as the Duke of Monmouth! I really enjoyed how the writers incorporated a true event into the drama. 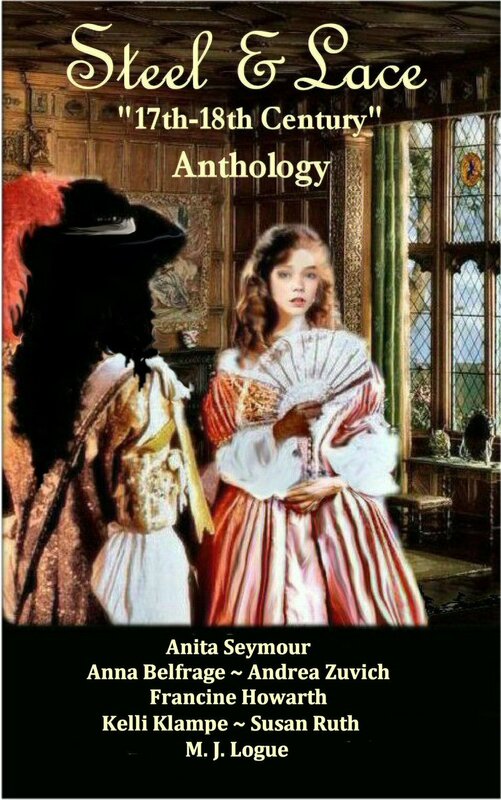 During Monmouth’s Progress in 1680 (which I detail in my book, His Last Mistress), Monmouth was at Hinton Lodge when a woman suffering from scrofula named Elizabeth fell to her knees before Monmouth and touched him (for it was believed at this time that being touched by a King (or the King’s son) would cure this disease) and he was kind to her and replied, “God bless you.” I thought it was lovely to finally see this interaction dramatised. I also enjoyed how they spoke about the Black Box rumour. Those of you who know about Monmouth’s story will know about the box believed to have contained the marriage lines of Charles II and Lucy Walter, Monmouth’s mother. Monmouth’s supporters often brought up this subject because it would prove Monmouth’s legitimacy. The box was never found, though there is a story that a later Duke of Buccleuch found the marriage certificate and promptly burned it. I might watch the next episode because I’m hoping the writers were able to see more than just the radical viewpoint. But I believe this isn’t about the 17th-century, this programme smacks of a modern political agenda. There shouldn’t be a modern agenda in a historical drama, not in my opinion at least. To sum up, this was nowhere near as good as The Devil’s Whore, but I’m hopeful the next episodes will be better. 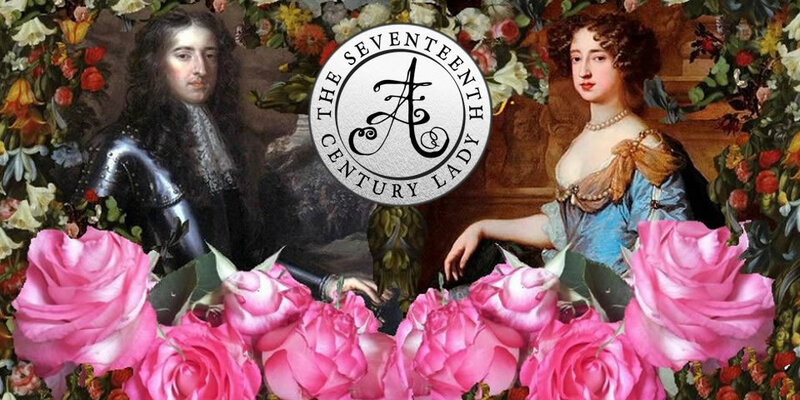 A more well-balanced look at the 1680s would have been immensely enjoyable, but as it stands, it is giving viewers the wrong impression of the time. Not sure about the women’s hair just hanging down like that. I agree with Andrea’s summing up, which is balanced and also mentions some interesting historical facts I wasn’t previously aware of. It’s refreshing to hear from an historian who understands that TV drama is a kind mixture of art-form/entertainment which can show the texture of the time it portrays without needing to be 100% accurate, yet at the same time it needs to be able to suspend our disbelief without pursuing too much of a modern or individual agenda. I too was disappointed by ‘New World’s’ which could have promised so much yet seemed disjointed and biased. It’s prequel, ‘The Devil’s Whore’ was itself criticised when it came out by some historians, but to me it was much more successful in painting a picture of the religion, superstition, politics and beliefs of the time in an engaging way which showed respect to both the period and the audience. ‘New World’s’ doesn’t seem to want to do this – strangely it just doesn’t seem as authentic and believable. Hoping for better in the next episode. Excellently put Andrea, I was disappointing beyond belief, managed a whole 20 minutes before it all got too much and I had to switch off. I’m so close to picking up my quill and writing something myself. I have seen the first 3 eps and agree with everything you’ve said. Query… surely by this point in time they were hanging witches not burning them. Hi Alison – I didn’t see past Episode 1, but if they showed burning witches, that wouldn’t be historically accurate; so you’re totally right – by this time, ‘witches’ were hanged (this is the method I used in The Stuart Vampire to kill a witch). This series is a disapointment. I agree, it is very biased against the Stuarts, it is also very simplistic (evil supporters of the monarchy vs enlightened republicans). Whilst I really enjoyed ‘the Devil’s Whore’, I really dislike this series which poses as a sequel, but has none of the qualities of its predecessor. ‘The Devil’s Whore’ wasn’t 100% accurate (which flm or tv show ever is?) but it did succeed in creating an early 17th century atmosphere. The dialogues incorporated more phrases from the time. It also captured the complexities of the civil war period. Here, we have a very simplistic drama with good vs bad characters who appear to think like today’s teenagers. The dialogues are not especially stylish either. I also have a problem with the fact that none of the leads have a presence that is strong enough to have us interested in the characters.